Got a PC decked out with neon lights, case mods, and Quake 4? 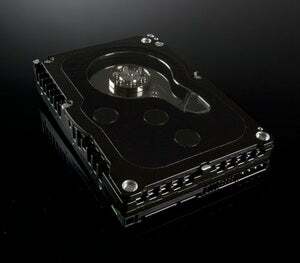 This is the hard disk for you. The Western Digital Raptor X is a powerhouse 10,000rpm, SATA hard drive with 16MB cache and Native Command Queuing. The only size available is 150GB and the casing is a clear, see-through style that I'm sure looks awesome next to your cold cathodes. WD is marketing the Raptor X as a hard drive for performance enthusiasts who demand top-notch gear for gaming, rendering, and other intense tasks. You can expect the Raptor X to be shipping sometime by the end of Q1. Performance doesn't come cheap, though—be prepared to shell out $349 for the 150GB model.